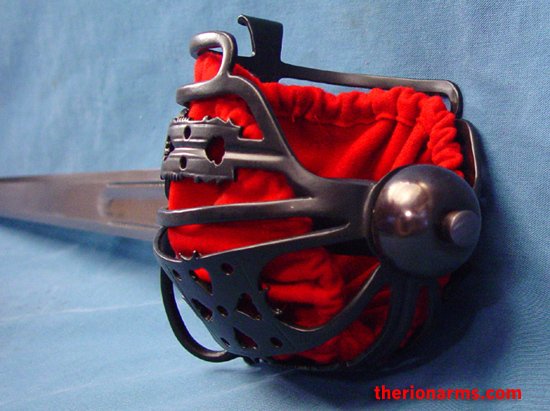 Basket hilt swords appeared throughout Britain from the mid-sixteenth century on, but their association with the the seventeenth and eighteenth century Scottish highlander has become legendary. 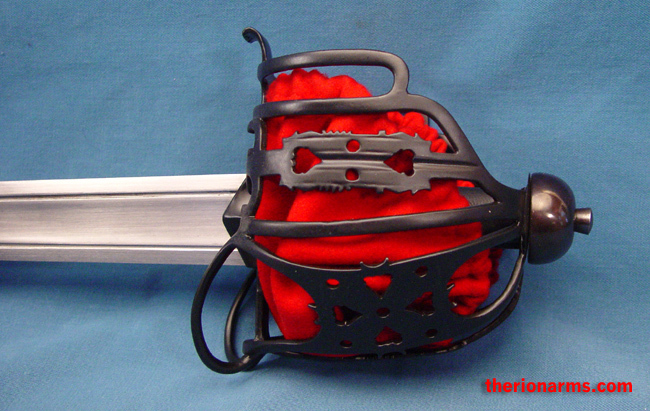 This basket hilt broadsword has a typical Glasgow style hilt from the mid-eighteenth century. 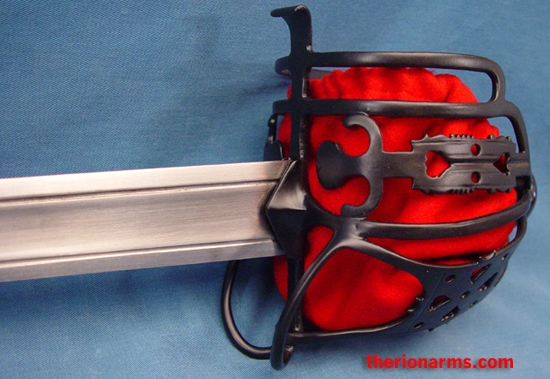 The forged double-edged blade of this sword is fully tempered 1065 high-carbon steel hardened to 50HRC, with 2mm thick blunt rounded edges and tip. 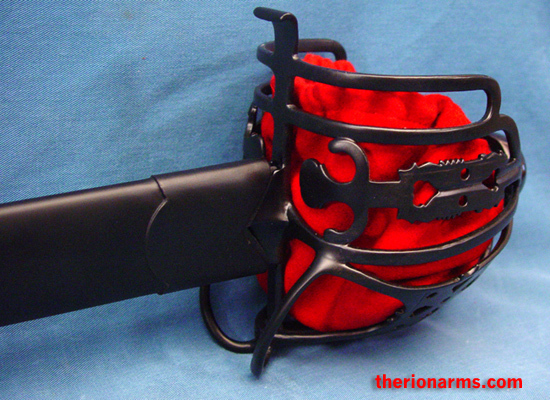 These swords are made to withstand rugged use in reenactment and stage combat. 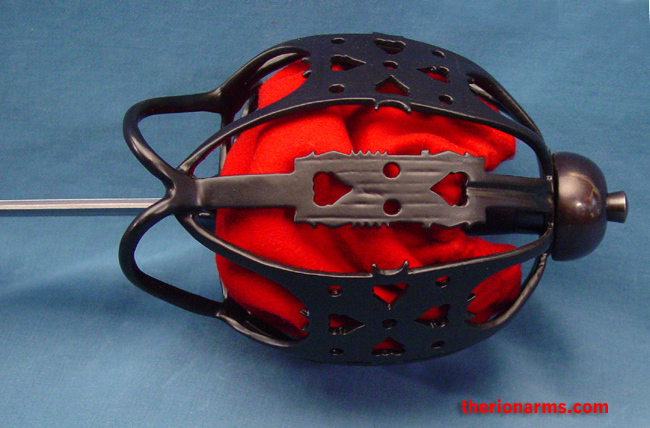 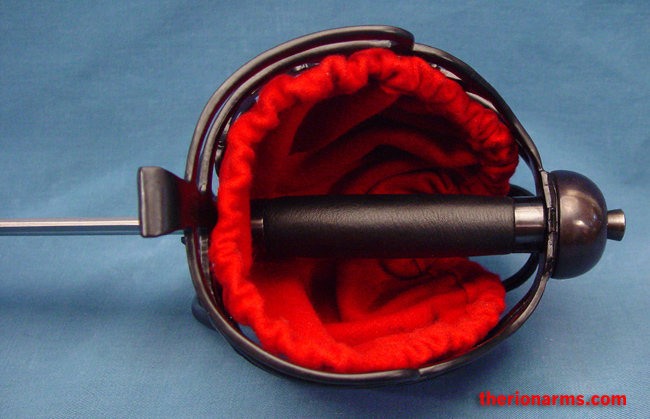 grip (inside basket): 4 1/2"
basket: 6 1/2" x 6" x 4 1/4"